Kentico is a feature rich ASP.Net CMS platform that is based on MVC design for building enterprise level websites, on-line stores and Web 2.0 community sites.  This application offers support for effective and scalable Ecommerce, Social Networking, Intranet and Online Marketing development solutions. Nonetheless, it is a favorite of brands like Mazda, Allergan, Starbucks, Twinings, Sony, Microsoft and many more. What are the advantages of using Kentico CMS? With multiple feature support for Ecommerce and online marketing, this platform is capable of working for forums, retail stores, newsletters and assists many more business solutions. This platform is amongst the easiest CMS to use. Not much technical knowledge is required for editing and customizing content as it allows WYSIWYG browser based interface. This platform offers easy migration of content from test to live environments by scheduling the content for publishing thus minimizing admin responsibility and increasing productivity. A Lucene based search technology integrated in Kentico CMS empowers content search and location effectively by constantly updating search results to maintain result accuracy. Kentico’s security features like user management, module permissions, double opt-in registrations, customizable authentication service integrations ensure that web apps are not prone to attacks. This platform offers extensive 24/7 support facility and a 7day bug fixing policy with lots of FAQs, forum discussions to answer your queries and provide seamless customer experience. Why choose Kays Harbor as your perfect Offshore Kentico CMS Development partner? At Kays Harbor, we establish the perfect approach of strategizing, analyzing, planning, designing and developing solutions that acquire noteworthy appreciation of our clients and successfully meet their needs. We hold promising expertise and experience in offshore Kentico CMS development for delivering scalable Web 2.0 and Mobile solutions for your business. What makes us stand out is our exclusive maintenance and support services by our adroit creative and technology teams to give smooth assistance to our customers. Looking to hire best in industry Kentico developers?